Mr. Mein's Classroom: Day One: Complete! It was a great first day at Peterson today! I really enjoyed all of my classes today and I look forward to working with the students in my classes to make great writers. 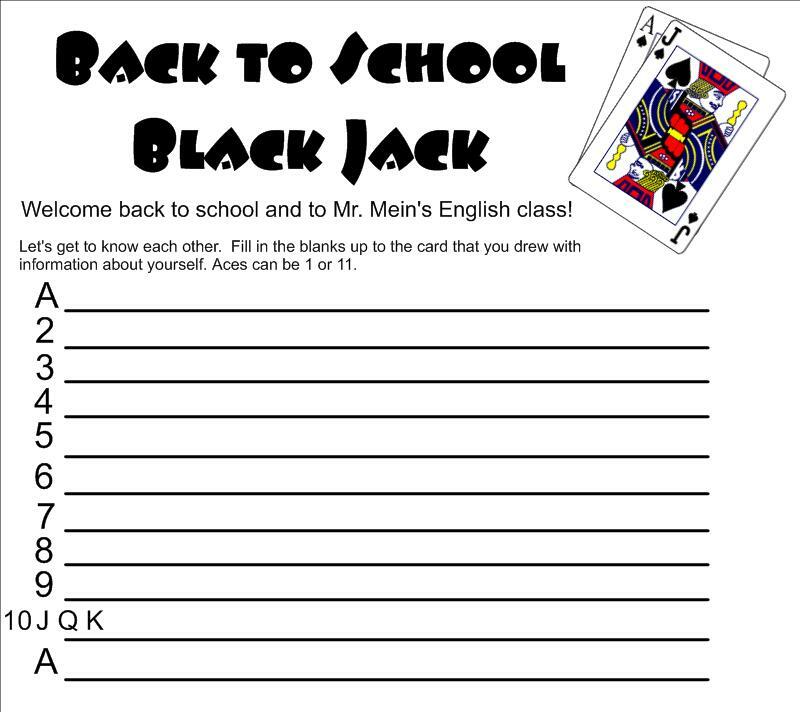 We started each class today talking about dress code from the handbook, then played Back to School Black Jack to learn about each student. This was a lot of fun. It's always interesting to hear the information students choose to share. 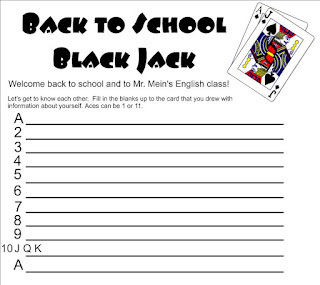 The homework I gave my students tonight is to get their Welcome Letter signed and ready to turn in first thing in class tomorrow. Tomorrow we will start writing in our journals- a practice my students will be VERY familiar with throughout the year.